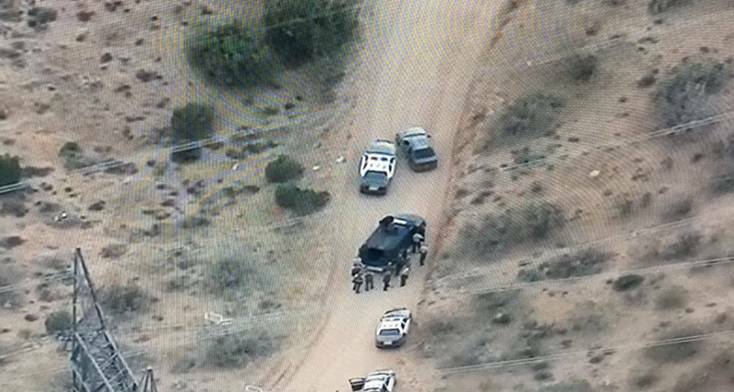 ACTON – A suspected reckless driver who was also believed to be under the influence of alcohol or drugs was arrested Friday afternoon about two hours after leading deputies on a chase then barricading himself inside his disabled vehicle on a dirt road in the Antelope Valley near Acton. 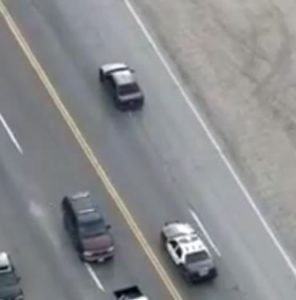 The pursuit began shortly before 3 p.m. Friday, March 9, in the area of the Antelope Valley (14) Freeway and Angeles Crest Highway, according to news release from the Sheriff’s Information Bureau. The slow-speed chase, dragging at speeds sometimes as low as 5 mph, resembled a parade at times, with the suspect followed by a string of sheriff’s vehicles. At one point, the driver appeared tossed what appeared to be money out of the car’s window. The chase ended at Peaceful Valley and Forest View roads, west of the freeway, where the suspect refused to get out of his car, which by then had at least three of its tires flattened by a spike strip. Deputies fired projectiles into the car early in the standoff, but the man would not give up. 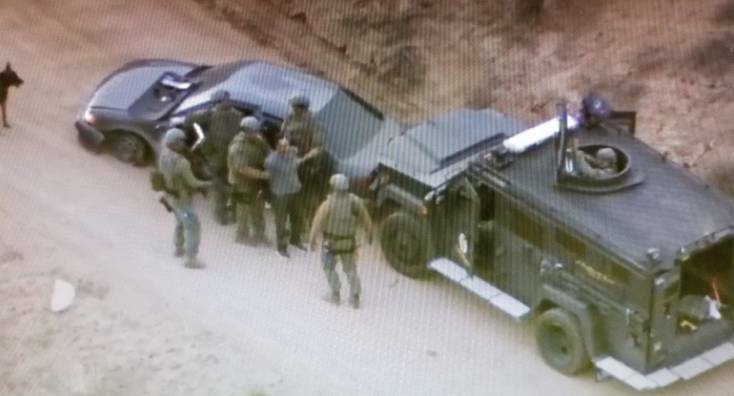 A SWAT team with an armored vehicle responded to the location and the suspect was eventually taken into custody around 5:30 p.m. The man was later identified as Joseph Robert Rivera of San Bernardino. He was taken to a hospital to receive medical clearance before booking, according to the sheriff’s news release. 4 comments for "Slow-speed chase ends with arrest in AV"
Dangerous or not but for as long as I can remember I love watching police chases. There so popular that regardless whats on every news channel will block whats on and go to live coverage of the chase. The crashing tackle of a runner by an over weight adrenaline cop is the subject of talk the rest of the day. The most memorable one was the Army tank in LA. These chase-ees are low life morons. They never, ever get away. Losers. The tumbleweeds out there in that GOD forsaken place were going faster than him! What is wrong with these people? Why run? Where do they think there going to go? Out in the middle of nowhere on a dirt road.